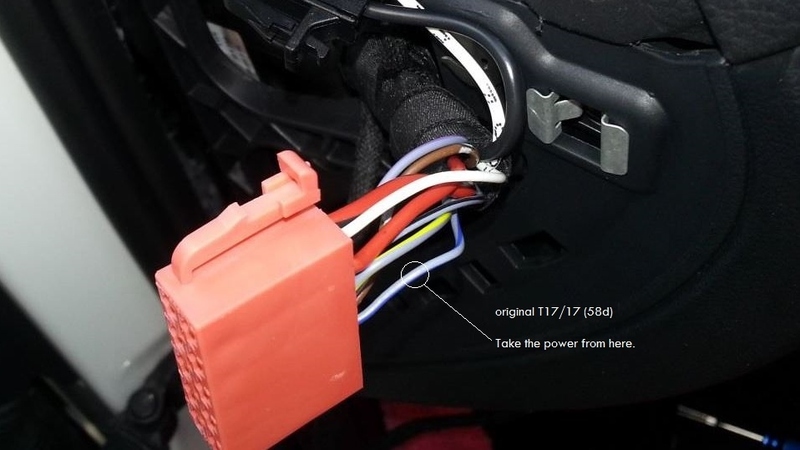 Yellow - "to the dimmer switch or any dash lighting with dimmable lights"
Red - "to 12V switchable source"
So, the red wire should be connected so it switches on when the rest of the dash lighting is switched on, and the yellow wire should be connected so it gets dimmed with the rest of the dash lighting. What would be the best way to install this? do they specify how much power the gauge draws? No, they do not specify the power consumption. Although since the gauge is mechanical the gauge itself doesn't draw power, only the lighting draws power. So, the grey/blue wire from the light switch you mentioned, that is dimmed? I checked your sticky post about the fuses. Do you mean I should connect the red wire to terminal 15 (ignition)? Does the dash lighting always turn on with ignition on? Maybe it does, but I don't know for sure. I see. According to the fuse layout in the other thread, I should have 2 free spots on terminal 15 (fuse 6 and fuse 13). So I guess I will be using one of those. Only through the Dimmer switch. Blue/Grey wire T6/5 (58d) or T17/17 blue/grey wire in light switch connector, never T6/3 (58) Blue/grey wire in Dimmer connector. Yeah, I guessed it wouldn't be possible since the dimming of the instrument cluster is dependent on not only the setting of the dimmer switch, but also on the internal light sensor in the cluster. So today I actually bent down to take a look at the fusebox with my own eyes (not just taking a photo of it with my phone ) and it seems like fuse spot 13 the only one unused fuse spot which is actually connected to terminal 15 (according to iichel's fuse layout), so I guess that's the one I'll be using. I measured the voltage and it gives me 12V with igntion on so it seems OK. So now the question is, what kind of terminal do I need for the output of the fuse? I also took out the light switch and checked the blue/grey wire (17). I tried to measure voltage on it while durning the dimmer, but I got nothing. Are you sure this is the right wire? Also I don't know what you mean by blue/grey wire T6/5, I don't have that one in the light switch (I'm using your auto light wiring btw ). I also took out the light switch and checked the blue/grey wire (17). I tried to measure voltage on it while durning the dimmer, but I got nothing. Are you sure this is the right wire? (I'm using your auto light wiring btw ). OK, so that means a 2.8mm wide, article number N90684405 if I'm not mistaken. Yeah well, I see your point. After all, it was you who made the wiring harness so you are the one who knows But is there an explanation to why I measure 0V on the blue/grey wire with ignition on? light switch in 0 position or auto position so that DRL is on? That was actually what happened when I did it. First I did one measurement and got 0V. Then I realized I had indeed set the switch to "0" after taking it out of the dashboard. So I set it to "Auto", expecting to get some voltage, but still got nothing. I'll try it again tomorrow. Maybe I missed something. the lights should be on, logically. OK so when I was doing the measurements in daylight I thought that when setting the switch to "Auto", the dash lighting was on but I just couldn't see it because of the daylight. I didn't realize that actually the dash lighting only turns on when the headlights turn on. I turned the headlights on with the switch and then I do get a voltage on the blue/grey wire (variable with the dimmer switch). So I asked NewSouth (who made the gauge) about it. They said that both the red (+12V) and yellow (dimmed voltage) wire is used for powering the lighting in the gauge. The red is for daytime and the yellow is for nighttime. I assume that if there is a voltage on the yellow wire (nighttime, dimmed dash lighting ON) it uses the dimmed voltage. 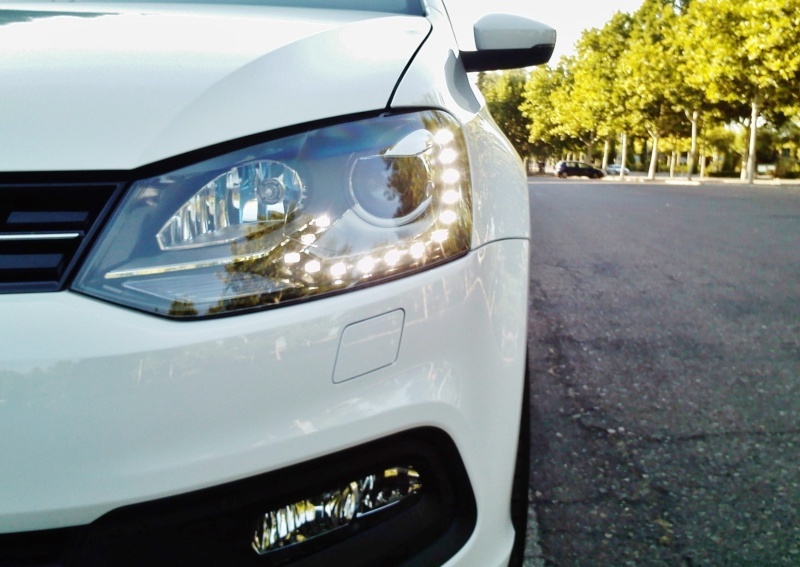 If there is no signal on the yellow wire (daytime, dash lighting OFF) it uses +12V from the red wire. Since both wires will be used for powering the gauge I guess it doesn't make sense to only put a fuse one of them. Power consumption is low, current will be a few milliamperes. You must put a mini fuse to supply power to the red wire, for example 2A (gray). The yellow wire, for example, connected to T10/9 original wire in the red connector for automatic lights (dimmed voltage -58d-). Already protected by the BCM. In any case you must follow the manufacturer's instructions.